This book is pretty small – just a little over 200 pages.And I love it.I am naturally a bargain hunter and love shopping in sales.I also love getting high quality goods at bargain-basement prices.So It’s small wonder that I am attracted to value investing.The danger of shopping in sales is that a person picks up things they don’t have any use for or items that are not a perfect fit just because they are cheap.Then there is a danger of buying poor quality stuff just because it seems to cost so little.The same applies to buying stocks cheap.Sometimes the whole market is beaten down and all stocks seem cheap, but if I buy stocks of companies I would not normally buy because of their poor returns to investors,just because they are cheap,I am left with the problem of selling them when the market and the stock recovers.This is a problem for me personally as I have a tendency to get married to my stocks.At other times a stock sells for low P/E multiples simply because there is something fundamentally wrong with the company. Stocking up on the shares and hoping for a turn-around is pretty foolish.But I am an optimistic type and I need to force myself to turn away from such situations.Over a period of time I have found ways to control my habits.When the markets are down,I first establish a budget and then try to make a list of likely stocks and arrange them in order of attractiveness depending on Buffett-style criteria and tell myself that I’m to invest over 80% of the budget on only the top 5 of my list.I find this stops me from stocking up on not so great businesses that I might find hard to sell later.Then I have accepted the fact that I am a speculator at heart.I no longer try to fight the urge but try to use the Dhandho Principles that come pretty naturally to me to gain out of my speculative tendencies.This is a book I recommend for all investors like me who like value investing but can’t overcome the urge to speculate. Pabrai starts the book by discussing the term “dhandho“which is a Gujarati word meaning “business”. Gujarat is a western coastal state in India that has served as a hotbed for trade with Asia and Africa. The Patels are a community of particularly entrepreunerial Gujaratis whose entrepreneurial ventures led to them forming a dominant part of the East African economy by the early 1970s. When Asians were thrown out of Uganda in 1972 on the basis of their race, a flurry of Patel immigrants landed in Canada, England and the United States. The Patels now make up about 0.2% of the American population. Yet they own over half of the motels in the entire country. Pabrai attributes this to particular conditions which led the Patels to recognize and benefit from the minimal downside risk and upside potential that existed in the motel business when they immigrated to the United States. The first Patels arrived during a recession. Motel owners were being foreclosed due to low occupancy rates. With just a few thousand dollars in hand, Patels could kill two birds with one stone by finding room and board for their families and a job at the same time by buying a motel. Since the assets are hard, banks would finance 80-90% of the purchase, so the initial investment required was low. From here, Pabrai discusses some of the financial details that made these investments value investments: Low risk (the few thousand dollars initial investment) and high reward (with their low living expenses and hard-working attitude, Patels could make back their initial downpayment in the first four months!). This introduction to low risk / high reward sets the theme for the rest of the book. To dispel the idea that the story described in Chapter 1 was simply a matter of fortunate timing and luck, Pabrai describes another successful entrepreneurial venture where the risks were low but the potential upside was high. The story is that of Manilal Patel, a man who immigrated as an accountant, but could not land a job due to his broken English. For several years Manilal worked for minimum wage, slowly building wealth while biding his time and searching for a business to own and run. For twenty years he worked nearly around the clock and began to invest in residential real-estate. After September 11th, however, he would get the break he was waiting for. Travel was down, and the hotel market was suffering once again. Manilal was able to take advantage by finding some partners and putting much of his own capital towards the purchase of a Best Western hotel. The hotel required a downpayment of $1.4 million, which Manilal borrowed against his house to help fund. 1) When a terrific investment opportunity is available, a bigger investment should be made. As Pabrai calls it: “Few bets, big bets, infrequent bets”. In all of the cases Pabrai describes, the overriding theme continues to be: “Heads, I win; tails, I don’t lose much”. Branson’s businesses don’t take on the risk because they don’t require investment in infrastructure. Instead, they leverage existing infrastructure or outsource to other companies that have to take on the risk. What Branson does get, however, is the upside. With that risk-reward profile, Branson is crowned by Pabrai as a Dhandho investor. In 2005, Forbes listed Lakshmi Mittal as the third richest man in the world. Unlike many others on the rich list, Mittal operated in an industry with extremely poor returns on capital – steel mills. As an owner of a steel mill, you have no control over the selling price of your products, and in order to have the capacity to keep producing your end product, you need a constant supply of capital. Mittal was able to transform his steel mills into efficient steel-producing machines. But if he had grown organically, he likely would never have managed to get his net worth to $20 billion. Instead, he grew by acquiring steel mills that were going under. In some cases, he was acquiring for 10 cents what other investors had built for $1. Once he applied his operational efficiencies to the plants, he had restored the value of the assets to $1 or more, thus generating incredible returns on investment. 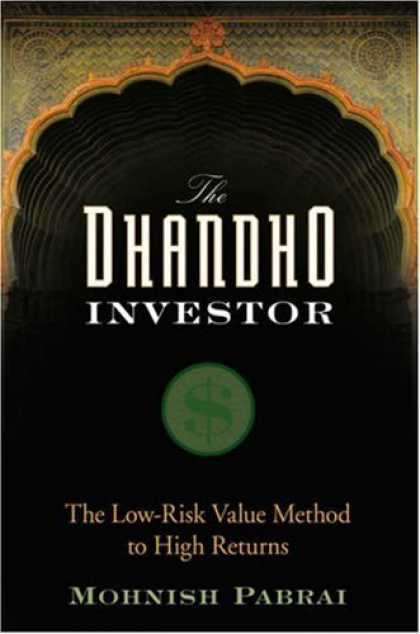 Once again, Pabrai’s “Dhandho” theme echoes through: the downside is minimal, and the upside is tremendous. Pabrai also takes us the reader through his own experience applying “Dhandho”. When he started his business, he had $30K in cash, and $70K in credit card maximums. If his investment went south, he would have to declare bankruptcy and will have lost $30K and would simply have returned to his old job. In other words, his downside risk was minimal. But his upside was not. Within a few years, he had sold his business for several million dollars. This represents another example of Pabrai’s “Heads, I win; Tails, I don’t lose much” philosophy. Buy an existing business: each of the businesses described in the first four chapters had defined business models; nothing new was being invented. Buy businesses in simple industries with a low rate of change: all of the businesses described were necessary and were not about to be replaced. Buy distressed businesses in distressed industries: the very best time to buy a business is when it is hated and unloved. Buy businesses with a durable competitive advantage: this advantage can come from being low-cost to having a brand to having captive customers. Bet heavily when the odds are in your favour: in the businesses described, sometimes the investor did not make moves for several years, he invested much. Focus on arbitrage: in all cases, the investors saw a discrepancy between price and value that they exploited. Buy businesses at big discounts to their intrinsic values: the odds of a permanent loss are low when this approach is followed. Look for low-risk, high-uncertainty businesses: the uncertainty leads to severely depressed prices. With an entire business, you have to run it, or find someone who can. To be successful, this requires an enormous amount of dedication. In the stock market, you’re buying a business that is already staffed, yet you still get to share in the earnings. With whole businesses, often the sellers know a lot more about the business than the buyers, and furthermore the prices offered are not usually as attractive as they can be in the stock market. Buying an entire business requires a large investment. In the stock market, however, you can start with just a tiny amount of capital, and add to that capital over the years – a tremendous advantage. The selection offered to buyers of private businesses does not compare to that offered by the stock market. With a few brokerage accounts, the investor has the option to purchase from 100,000 companies worldwide. On the other hand, how many private businesses are for sale within a 25 mile radius of the investor? In the purchase of a private business, transaction costs can add a good 5 to 10% to the price of the transaction. The frictional costs in the stock market, however, even for an extremely active investor, are extraordinarily low. As long as investors follow the “Dhandho” approach to investing, the stock market offers the best potential for realizing excellent returns on investment. A stock will sell on the market for a particular value. The investor must compare this selling price to the actual worth of the underlying business. The worth of the underlying business is determined based on the business’ future cash inflows and outflows.By changing the expected estimates of the cash inflows and outflows of a business, however, its valuation can change dramatically. It is for this reason that it is of utmost importance to stick to simple and easy-to-understand businesses. If a business’ future can be predicted, an investor can calculate its intrinsic value with more accuracy. In turn, this allows the investor to know that he is buying a company at a discount. It has been helpful to me to have tens of thousands [of students] turned out of business schools taught that it didn’t do any good to think. Pabrai discusses several ways for investors to find distressed industries/businesses. For one thing, business headlines are often filled with negative news and outlooks for particular businesses and industries. Another useful place to find distressed businesses are weekly summaries of the stocks that have lost the most value andstocks with the lowest P/E and P/B values, published in the financial publications.Pabrai also recommends looking at stock exchange disclosures to see what other value investors are buying. Pabrai also recommends that investors read Greenblatt’s ‘ The Little Book That Beats The Market’ for help in this area. From the above sources, a plethora of troubled industries and businesses can be identified. From this group, Pabrai recommends investors eliminate those businesses which are not simple to understand or which fall outside the investor’s circle of competence. For the remaining stocks, the Dhandho framework should be followed to determine which of these stocks should be purchased. While no moat can last forever, Pabrai suggests readers invest in businesses with competitive advantages that can last for several years.Pabrai notes the results of Arie de Geus’ study that showed the average life of a Fortune 500 company is just 40 to 50 years (and it takes about 25 to 30 years from inception for the typical company to get to the Fortune 500, meaning the typical company ceases to exist after spending less than 20 years on the list). The implication of this is that discounted cash flow estimates into the future should be kept to relatively short time frames. The basic idea underlying this chapter is that when opportunities exist, it’s important to bet big. Pabrai is not an advocate of investing frequently, with amounts of money that won’t significantly move the needle. Instead, he suggests disproportionate amounts should be invested when the odds are significantly in one’s favour. To calculate how much an investor should bet on a given opportunity, Pabrai suggests using the Kelly Formula, which he discusses in detail. A major weakness of using this formula, however, is that it requires the payout and odds to be known in advance. This knowledge is available in gambling games (where the Kelly Formula is perhaps more relevant), but stock returns are not calculated with assurance so easily. To better understand how investor’s should think about how much to invest in a particular opportunity and why, Pabrai recommends William Poundstone’s book, Fortune Formula. Though the motel-buying Patels described in earlier chapters of the book had likely never heard of the Kelly Formula, Pabrai argues that they nevertheless recognized the fundamental concept behind it, and that’s why they were so successful: When a great opportunity presents itself, bet big.That is the Dhandho Way! It really is and well worth reading.